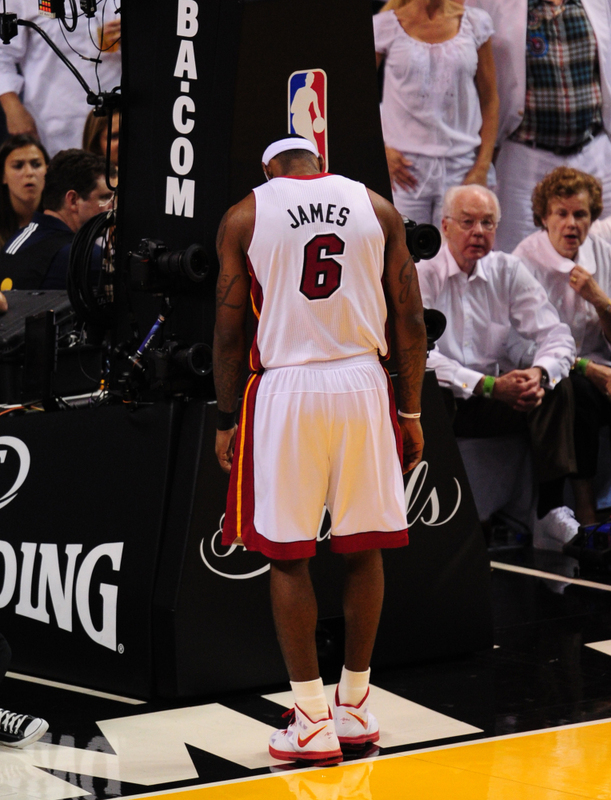 A Short Photo Essay About LeBron James For People Who Don't Like LeBron James The Dallas Mavericks finished off the Miami Heat in the NBA Finals on Sunday night, and for people who don't care for Heat star LeBron James, it was a time for regrettable but understandable celebration. 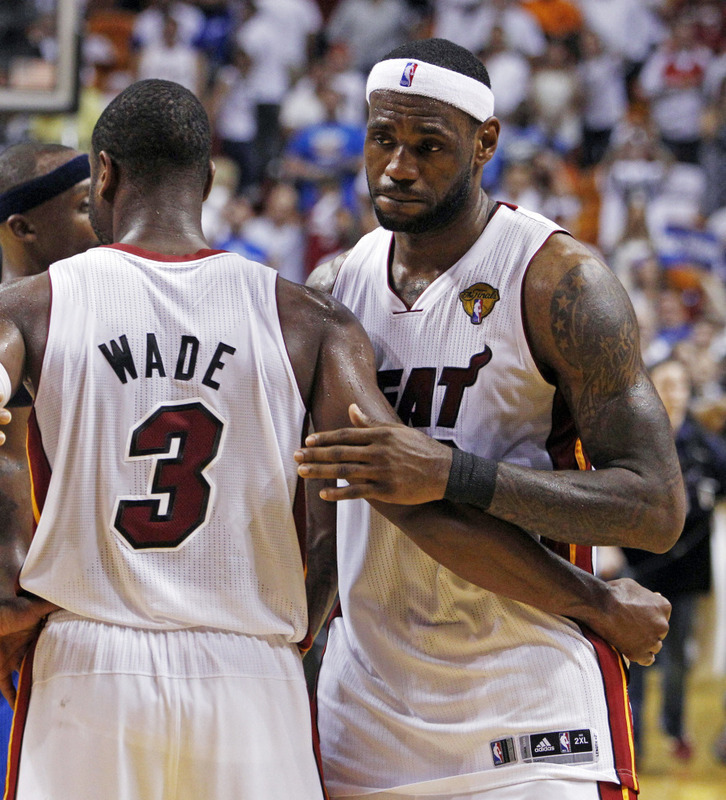 James hugs Dwyane Wade after the game. While you were watching the Tony Awards last night (...WHAT? 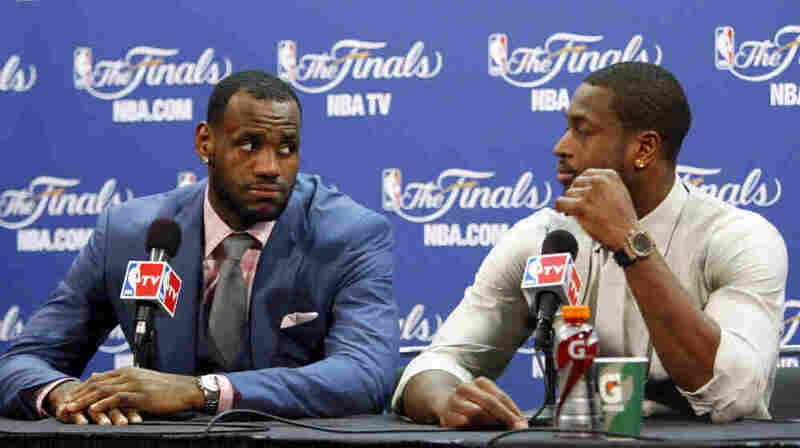 ), the Dallas Mavericks were finishing off the Miami Heat in Game 6 of the NBA finals, sending LeBron James's talents back to South Beach without a ring. For those who followed the hullabaloo when James left the Cleveland Cavaliers to play for the Heat — which is, in and of itself, something he had every right in the world to do — he's wound up carrying more than his fair share of criticism. Aaaaaaand yet, for everyone who has seen a beloved local star move on, there is something viscerally satisfying about a hugely publicized move by a very big ego not resulting in a championship. It's not necessarily right. It just is. And what you need to do is flush it out of your system efficiently so you can go back to caring about sports in the same not especially rational way you normally do: by hating the Yankees. 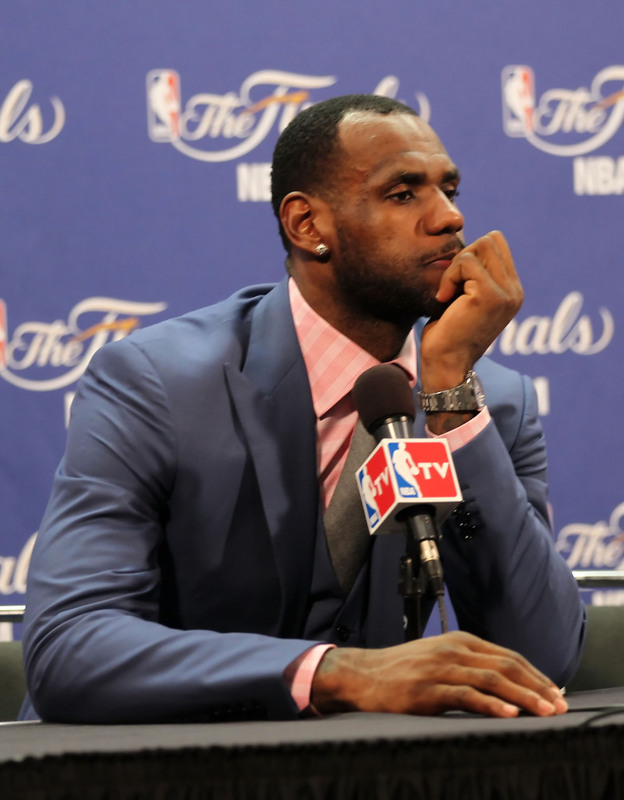 James pauses during Game 6 to give some thought to how the season is going. 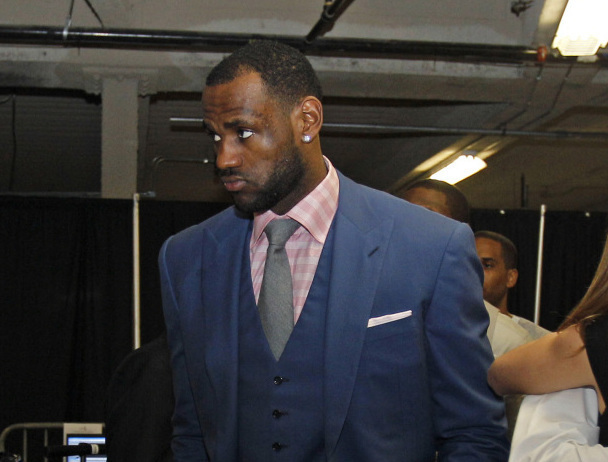 James walks in the hall after the game. 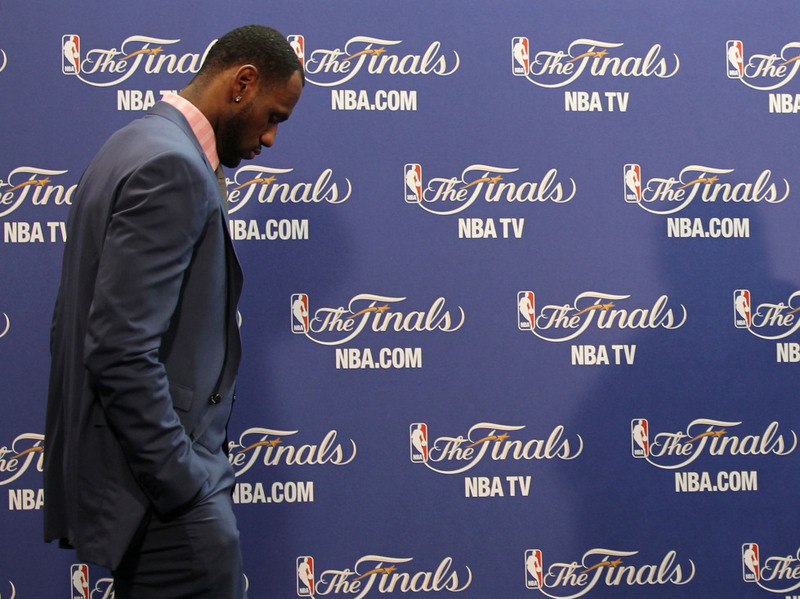 LeBron James enters the interview room. James concludes that things did not go as planned. James looks at teammate Dwyane Wade during the news conference.